For the project "Saliva, sweat and tears," new pillows were exchanged for used, deteriorated pillows collected from two orphanages and a children’s hospital in the city of Caracas, Venezuela. The used pillows were then shown to individuals who practice "Santeria." Each individual gave a reading about the child that once slept on the pillow. 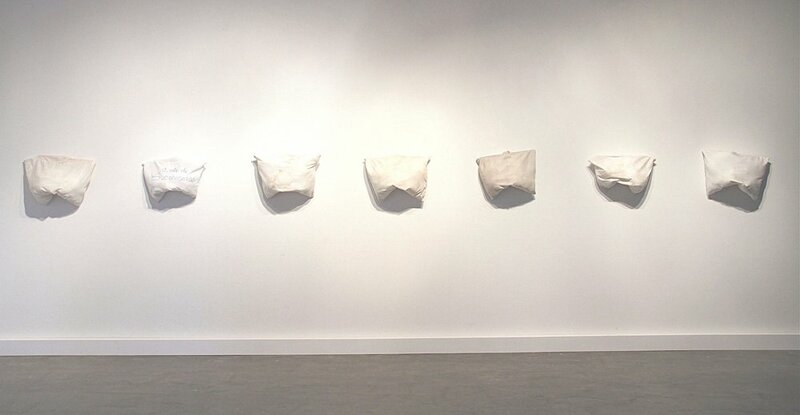 The testimonies were recorded and inserted in the pillows, playing in a continuous loop.